Very few companies can claim to have enjoyed a period of success as long as Novo Nordisk’s: the world’s largest producer of insulin has seen its share price grow by almost 900 percent over the last 16 years, and it has achieved this without resorting to aggressive acquisitions or massive expansions beyond its core focus of diabetes treatment. Novo Nordisk’s success as a focused, quiet achiever is a refreshing story in the pharmaceuticals industry, which is characterised by sprawling, combative multinationals with overwhelming scope. Overseeing the company through this remarkable period of success was CEO Lars Rebien Sørensen, who ended his 16 years at the helm at the end of 2016. While leading Novo Nordisk, Sørensen received the honour of being named the best performing CEO in the world by Harvard Business Review in 2015. Following this weighty departure, company veteran Lars Fruergaard Jørgensen was selected as the company’s new CEO, taking up the position at the start of 2017. Jørgensen comes into the top job at a challenging time; Novo Nordisk has recently been forced to lower several of its targets as increased competition has put pressure on its core insulin market. After an abrupt fall in the company’s share price, the coming months will be filled with substantial hurdles. However, Novo Nordisk has an outstanding track record and laser focus on the markets it excels in. While in the short term the pressure will be on, Jørgensen looks set to continue the company’s ongoing focus on long-term, sustainable success. Novo Nordisk’s origins go as far back as insulin therapy itself. The company began over 90 years ago, with the creation of Nordisk Insulinlaboratorium, established in 1923, and Novo Terapeutisk Laboratorium, founded in 1925. The founders of Nordisk Insulinlaboratorium were August and Marie Kroghm. In 1922, after August won the Nobel Prize in Physiology two years earlier, they were visiting the US on a lecture tour. It was here they learned of Frederick Banting and Charles Best, the Canadian researchers who had recently discovered insulin and were using it to treat diabetics. The news particularly interested Marie, the fourth Danish woman to receive a doctorate in medicine, as she cared for several patients with type 1 diabetes, while also suffering from type 2 diabetes herself. After a successful trip to the University of Toronto, the couple returned to Denmark with permission to manufacture and sell insulin across Scandinavia. In 1923, Nordisk Insulinlaboratorium began marketing the first Scandinavian insulin. Two early hires by Nordisk Insulinlaboratorium were brothers Harald and Thorvald Pedersen, a machinist and pharmacist respectively, to oversee the insulin production process. Very quickly, Thorvald clashed with Hans Christian Hagedorn, the lab’s head, and both brothers left the company in 1924. By February 1925, the brothers’ new firm, Novo Terapeutisk Laboratorium, had its own insulin on sale. While the Pedersens offered to cooperate with Nordisk, their approaches were refused. Naturally, the two companies were fierce competitors for many years, particularly during a tense legal case regarding patent rights that ran from 1938 to 1941. However, the rivalry cooled over the years, and in 1989 the companies merged to form Novo Nordisk. Apart from the economic logic of combining two insulin giants located mere kilometres from one another, the promise of the European single market opening in 1993, as well as the ongoing liberalisation of economic trade, made the merger a particularly logical step. While Novo Nordisk also operates in the fields of obesity care, haemophilia care, growth hormone therapy and hormone replacement therapy, diabetes is still by far its largest market, and is responsible for approximately 80 percent of the company’s revenue. Over the years, this focus has paid off, with sales steadily increasing. This can at least partly be attributed to the global rise in diabetes diagnoses. According to the World Health Organisation, the number of people who have been diagnosed with diabetes worldwide rose from 108 million in 1980 to 422 million in 2014. Over the same period, the percentage of people over the age of 18 suffering from the disease rose from 4.7 percent to 8.5 percent. Offering products running the gamut from cheaper generics to more expensive premium products, Novo Nordisk has remained the dominant force in the treatment of the disease. Overseeing the most recent period of growth was Sørensen, who was appointed CEO in 2000. Throughout his tenure at the company, Sørensen saw an 11-fold increase in profits, alongside the aforementioned 900 percent growth in share price. As well as the increase of diabetes in the global population, this success can be attributed to a string of management decisions that championed both core products and social responsibility over aggressive tactics. Novo Nordisk is primarily owned by the Novo Nordisk Foundation. The parent company works to ensure there is a stable foundation for the company’s operations, while also contributing a number of grants towards diabetes research. Novo Nordisk was also behind the establishment of the World Diabetes Foundation in 2002, a global independent champion for diabetes prevention and care. In a 2015 interview with Harvard Business Review, Sørensen said the decision to fund the group’s establishment was prompted by a public relations disaster in South Africa over the price of HIV/AIDS drugs. While Novo Nordisk was not involved, Sørensen wondered how his company would have responded in the same situation. This prompted the creation of the World Diabetes Foundation as a way for the company to give back to the world. “After its creation, criticisms that NGOs had been directing at us completely vanished”, Sørensen noted. Despite these achievements, however, the end of 2016 heralded a change for Novo Nordisk. As recently as April of the same year, the company had expected Sørensen to serve out his contract (which ran to 2019) but in September it was announced Jørgensen would be taking over in 2017. “On the one hand, Novo Nordisk has never had a stronger portfolio and organisation; on the other hand, we are facing an unprecedented level of payer pressure and competition”, Jøregensen said in a statement at the time. Between December 2015 and September 2016, Novo Nordisk’s share price fell approximately 22 percent as the insulin market faced growing pressure. Despite dominating the market, pressure on prices, particularly in the US, hit outlooks for the company. The US generates approximately half of Novo Nordisk’s revenues, and cheaper competing products have forced the company to offer greater rebates. In emerging markets like China and India, cheaper generics may prove to be more popular than more expensive premium products. While Novo Nordisk has generic products, they post a far slimmer profit margin than its premium offerings. Jørgensen grew up in rural Jutland, in a small town near Viborg, and worked on the family farm before studying finance and business administration at Aarhus University. He joined Novo Nordisk straight from school, working for the company in the Netherlands, Japan and the US. In 2004, he returned to the company’s offices in Denmark to lead corporate and IT development. 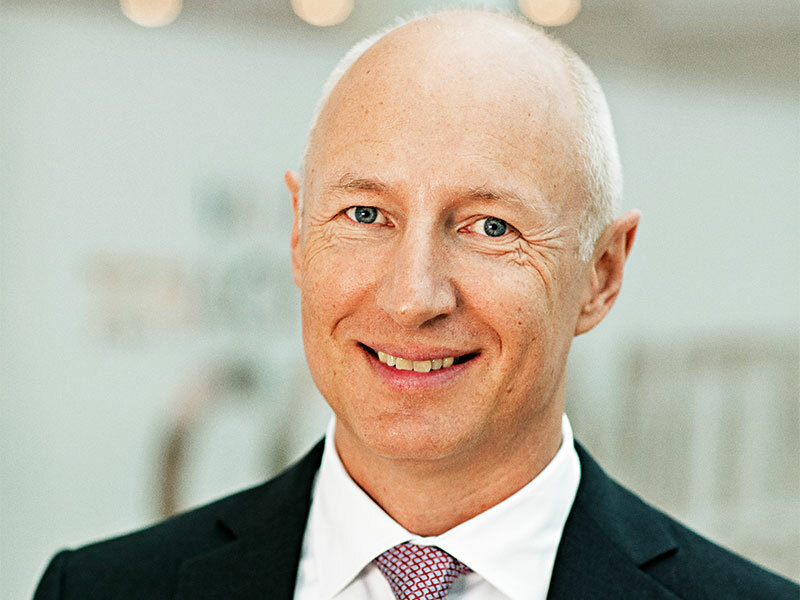 With over 25 years of experience at Novo Nordisk, Jørgensen plans to lead the company with the same consistency and stability that has defined its past. As well as identifying the differentiating benefits of its current products, Novo Nordisk will also place a greater priority on the future products. Despite these efforts, Novo Nordisk is not out of the woods yet. The company announced cuts of 1,000 jobs during late 2016 to reign in costs. However, while challenges remain, Jørgensen said he is confident for the future. “Fortunately, I was able to spend the last four months of 2016 preparing to take up the position of CEO of Novo Nordisk. Although this was a challenging time for an organisation with a changed growth outlook, it gave me an opportunity to meet with patient representatives, key opinion leaders, policymakers and payers to understand their expectations of Novo Nordisk. Likewise, I travelled to a number of our sites around the world to meet the people that make Novo Nordisk the great company that I am proud to lead”, he explained. For many other companies in the pharmaceutical sector, a streamlined and agile portfolio of products sounds impossible. However, Novo Nordisk has established itself as a company capable of maintaining a focus that leads to long-term success. With logical expansion at the forefront of its priorities, Jørgensen looks set to navigate a challenging time towards a stable future. Given the many years of success the company already has behind it, there’s no reason to believe it can’t continue to go from strength to strength.